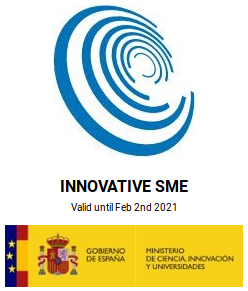 Q4I Consulting is a Spanish technology-based SME, located in Madrid, which aims to offer differentiated innovation services to the tech Industry across Europe. We develop custom-made IT solutions aimed at promoting optimal conditions to generate collaborative environments that foster the innovation process. The consolidation of the global economy and the massive use of ICTs are posing new challenges for companies, particularly technological ones, which require the identification of new opportunities beyond their usual environments. That is why cooperation among market players becomes essential. However, the mere collaboration between companies is not enough and It is crucial to identify the most convenient partners as well as the most promising business models. Based on the previous approach, Q4I Consulting has developed the SMEBOOK. The SMEBOOK is a business-intelligence based platform providing tech companies working in any sector with tailored recommendations to find best partners and interplay with supporting entities like clusters / associations, universities, research organisations, policy makers, financial players and experts. The SMEBOOK has been devised as a “matchmaking venue” for technology-based tech companies, with the intention to promote collaboration towards a fruitful partnership in terms of innovation. From a technical perspective, SMEBOOK is a cloud-based platform designed to respond fast, perform reliably, stay secure, be engaging to the user, and all in all, to be future-proof ready. The infrastructure has been conceived to be fully scalable in terms of resource allocation and of extension with new features; SMEBOOK is devised to cope with the most demanding requirements regarding upgradability, security, user activity and storage needs, to name only a few aspects. SMEBOOK also focuses meticulously on the user experience, with a sleek and very intuitive front-end design that allows for a natural browsing experience. As naive as the looks might in principle sound, the fact is that a careful, attractive interface builds up the necessary engagement to the final user, something of paramount importance towards the success of any online “matchmaking venue”.